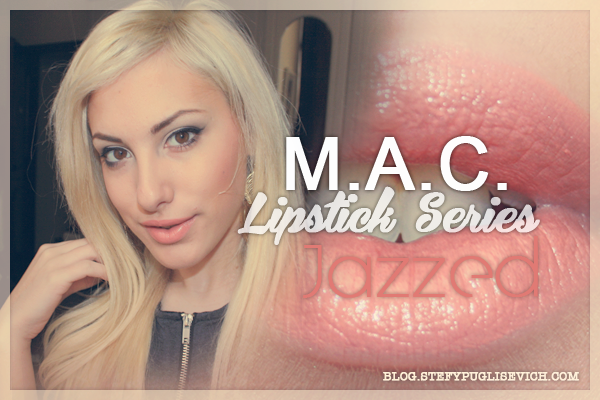 [BEAUTY] MAC LIPSTICK SERIES #1 JAZZED L.E. A lipstick I haven't touched in at two years, this lipstick JAZZED came out in the collection "In the Groove" back in summer 2010. I wore it like crazy and back in 2010/11 it was all about the corals. It was that shade that you just had to have in your collection and the most popular in that collection. Looking back, last year i wore mainly pinks so this was out of the question. It is a loved Orange/Peach tone, a perfect shade for spring summer. What i like about this series is I get to rediscover lipsticks that i once loved.